Keith Amor and Danny Webb look back on their crashes at last week's Ulster Grand Prix as they continue to recover from their injuries. 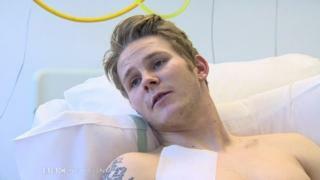 Scotsman Amor was injured along with Dean Harrison and Dan Kneen in an incident during the main races on Saturday. Kent rider Webb sustained broken ribs, a broken ankle and a punctured lung in an accident during practice.